Your immune system is the mechanism that your body uses to defend itself from viruses, bacteria, and many types of diseases. Sometimes, it tends to get weak: a poor diet, stress, or some kind of illness can all prevent it from performing its basic functions. Your immune system is your defense, your “immune response” to certain external agents that can come inside of you and harm you. It is made up of a network of cells, tissues, and organs that work together to protect your body. You definitely know it, these protective cells are what are called leukocytes or white blood cells. They are in charge of attacking those organisms that causes sicknesses. These cells are found in the thymus, spleen, and bone marrow. They are called “lymphatic organs”. If for whatever reason you have a lowered level of leukocytes at any given moment, you will not be able to take on those external elements that make you sick. So it is important that you are aware of certain kinds of signals so that your doctor can immediately determine the origin of this weakness and you can take it on. So, let’s take a look at the signs of a weakened immune system. It is very is true that fatigue can have a lot of causes. But when they are continuous, when you wake up in the morning for example and feel exhausted, when you end up tired from the smallest things, when the difference in temperature causes you to get depressed or nausea, etc… This are all symptoms to keep in mind. Urinary tract infections, stomach problems, inflamed and red gums, experiencing diarrhea often are examples that your immune system is not handling the external agents that come in your body like it should. 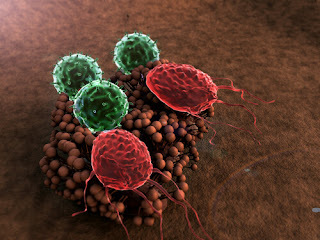 It is not producing the proper response and it cannot defend you against certain viruses or bacteria. 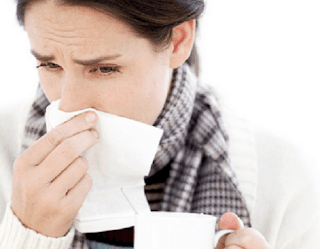 How many colds do you tend to catch? One every month? Does your throat always hurt? Do you suddenly catch the flu? You should see your doctor so they can do a test on your levels of white blood cells. Your immune system may not be defending itself like it should. Some people experience allergic reactions more often than others. They cannot respond to certain pollen, dust, and environmental agents that impact your skin or mucus, and that immediately affect health. If that is the case for you, it is possible that you have a weak immune system. We all know it. A good diet is a synonymous with good health. But sometimes we only get that when we are already experiencing a problem, when we are already sick. It is necessary to have varied and balanced nutrition at all times, which is rich in fruit, vegetables, and lean protein, and low in excess sugar, fats, and alcohol. 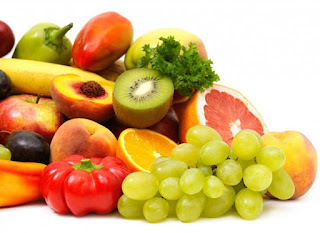 Citrus fruits are always excellent health, so don’t forget to eat oranges, mandarins, papaya, grapes, tomatoes, etc. Get a restful and repairing sleep. This is essential for keeping your immune system strong and for letting yourself recover energy and perform essential functions. Insomnia and concerns, the things that make you wait up constantly, are enemies of your health. We also know this, but sometimes it gets by us. Washing your hands before eating, before handling food, after touching animals, after getting home from outside or work… It is also important to take care of the cleanliness of your food. Wash the vegetables that you are going to cook well. Submerge them in water and get rid of any remnants. This is all essential for protecting your immune system. Stress is not only an emotion. If it turns chronic, it can cause serious problems. Toxins accumulate in your body, weaken your immune system, make you sick… So keep it in mind. Establish priorities, learn to love yourself, find time for yourself and do things you like to do.